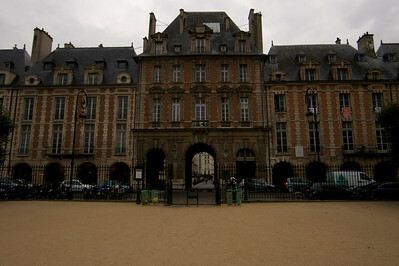 Place des Vosges in Marais, built in early 1600s, in one of the oldest squares in Paris. And one of the most loved ones in the city. 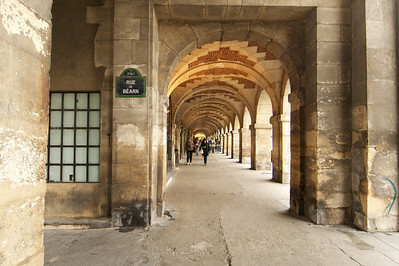 The following is perhaps my favorite picture of the arcades surrounding the square. I think I am supposed to appreciate the symmetry of this square. 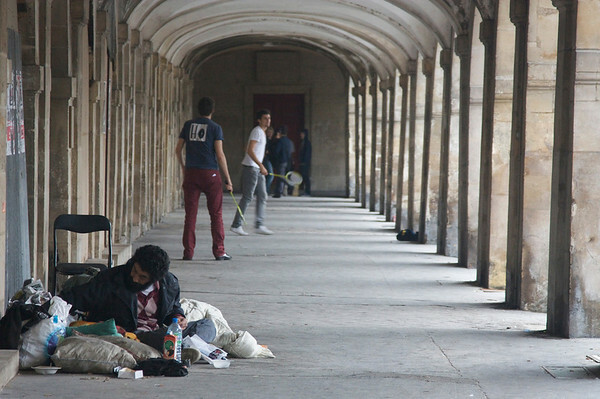 What I liked was the modern life in this historic place. 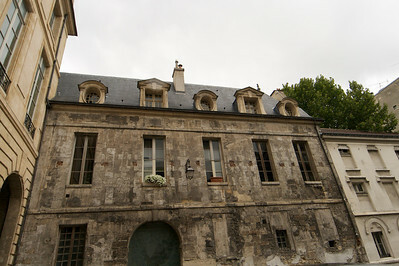 The buildings were originally meant to house the aristocracy of France. I reckon it still does. 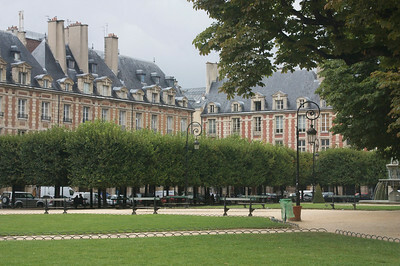 Although I chanced upon a vagrant and a badminton rally, the aristocratic glamor of this square was not lost upon me. 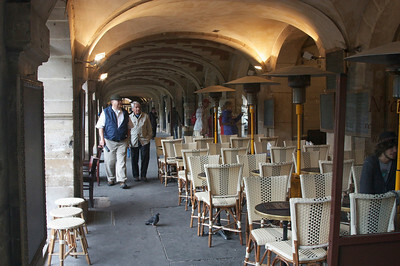 At the ground level, the arcade is mostly occupied by restaurants and galleries. 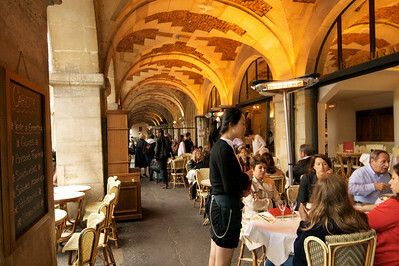 Paris has a couple of cafes in every block, so one should expect eight or so surrounding the square. The galleries are mostly contemporary. A bright blue giraffe on a rainy day is still etched on my mind. If it weren’t so damp, I might also have come across children playing in the square and nannies exchanging gossips.